Riding high on Best Picture wins from both the Los Angeles Film Critics Association and New York Film Critics Circle Awards, not to mention a slew of nominations from the Golden Globes, Screen Actors Guild and just about every other movie prize-giving group that pops out of the woodwork this time of year, Richard Linklater's Boyhood is poised for some degree of Oscar gold this award season. Necessarily twelve years in the making, this coming-of-age tale has quite the back story. However, its onscreen story is overlong and trite. 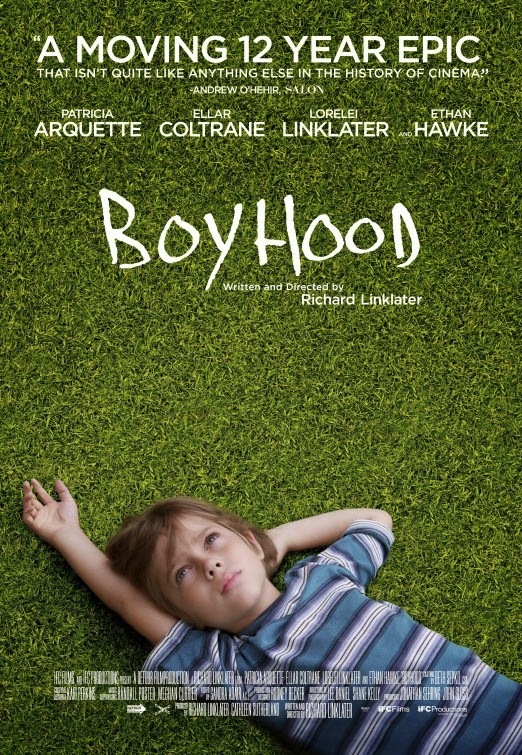 A dozen years ago, writer director Linklater (best known for Dazed and Confused and the Before Sunrise trilogy) began production on Boyhood (then titled 12 Years; a change was required following last year's big awards magnet, 12 Years a Slave). Centering on a then-seven year old Ellar Coltrane as the five year old Mason, the film follows him as he literally grows up before our eyes to the age of 18 (one assumes the sequel will be called Manhood). No recasting was done, Linklater and company met once a year to continue filming. Patricia Arquette gives a strong performance as Mason's mom, even though she is saddled with not one but two alcoholic husbands, while Ethan Hawke is surprisingly likeable as Mason's absent father; Linklater's own daughter Lorelei rounds out the family as big sister Samantha. The film starts out strong, but once Mason enters his sullen teenage years, the pacing grinds to a crawl and the high school tropes start stacking up. By the time he goes to college as a proto-hipster I had lost all interest. Boyhood is a compelling filmmaking experiment that nevertheless never quite gets past its central (for lack of a better term) gimmick. One wonders how much acclaim it would be reaping if the much-publicized making of the film was unknown. 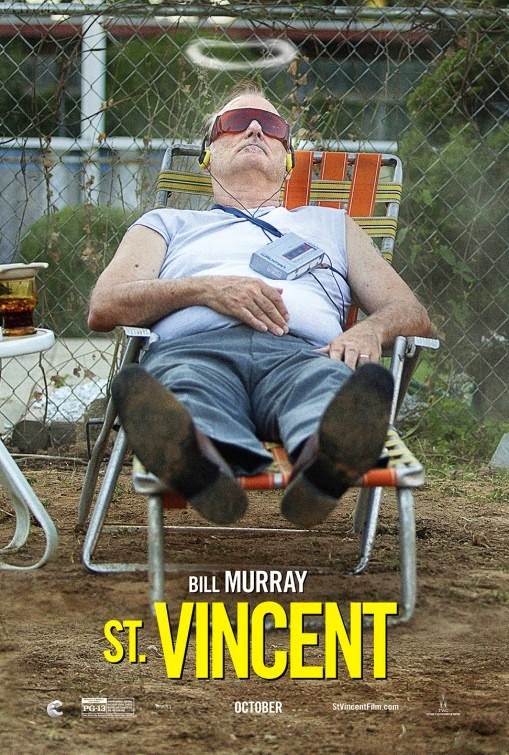 From the overrated to the mostly overlooked, St. Vincent is a winning comedy/drama about a grumpy old man and his unlikely friendship with the boy next door. Bill Murray turns in some of his best dramatic work to date with his performance as Vincent, the meanest guy on the block who Melissa McCarthy's Maggie has the misfortune to move in adjacent to. In the midst of a messy divorce, Maggie is forced to accept the cash-strapped Vincent's offer of watching her son Oliver (Jaeden Lieberher) after school. The two form an odd partnership, with Vincent teaching the boy how to defend himself against school bullies (not to mention the finer points of betting on the horses), while Oliver slowly warms this Grinch's heart. If it all sounds a tad sappy, director Theodore Melfi (who also penned the script) deftly avoids any gross sentimentality with gritty tinges of black comedy, mostly via Naomi Watts' acerbic Russian prostitute Daka, whose unfortunate pregnancy keeps getting in her way of turning a not-so-honest buck. Watts recently scored an unexpected Screen Actors Guild nomination, while Murray and the film itself rightly picked up nods from the Golden Globes. Here's hoping that these aren't the last laurels received by St. Vincent. The Babadook, our final boy's tale, is a decidedly darker one. Australian writer/director Jennifer Kent makes an impressive feature film debut with this spooky supernatural thriller from Down Under, which again finds a young lad at the center of the proceedings. Still wracked with grief over the death of her husband on the same day she gave birth to her son Samuel, frazzled single mother Amelia (a raw to the bone performance by Essie Davis) is increasingly disturbed by the erratic behavior of the precocious boy (played by Noah Wiseman, who easily joins Damien and Regan in the esteemed ranks of Cinematic Creepy Kids). Faster than a trip from the frying pan to the fire, the situation escalates when Amelia reads Samuel the worst bedtime story ever, a mysterious pop-up book about a boogieman named the Babadook. With excellent usage of disembodied sounds, pitch blackness and razor sharp editing, Kent expertly delivers the requisite willies, most successfully with the quick flashes of the title specter, with his London After Midnight top hat and Nosferatu fingers. 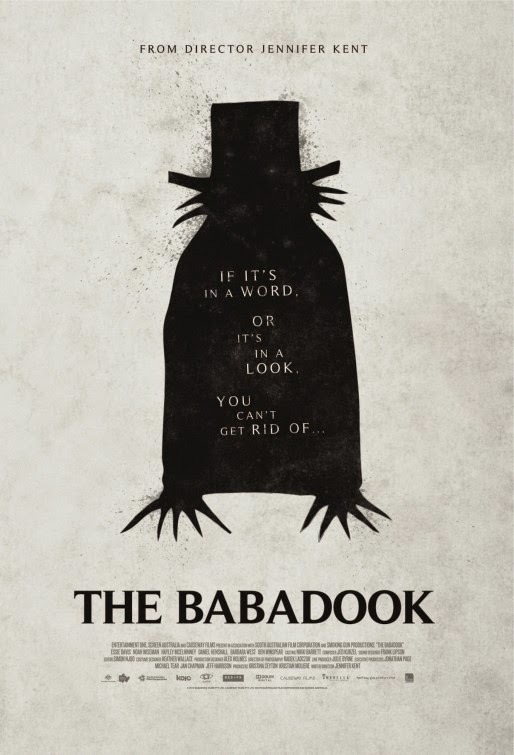 And although the momentum lags a bit in the final third, and the climax isn't quite as big as it needed to be, you'll want to let in The Babadook next time you want your pants scared off. Whereas women still don’t receive equal treatment in some parts of the US when it comes to employment opportunities, pay (when compared with men who have had similar education and experience) and/or access to healthcare, things certainly have improved over the last 50 years. Mary Dore’s informative new documentary She’s Beautiful When She’s Angry takes viewers back to the pivotal 1960’s and 70’s when American women first organized and acted up for their rights. It opens this weekend in New York City and on December 12th in Los Angeles. Lesbians received similar condemnations from heterosexual women within the movement. “Why are we reviled by our own people?,” one survivor asks in the film. Rita Mae Brown, the lesbian author of Rubyfruit Jungle and other works, comes across as refreshingly circumspect about the movement and declares “it was a lot of fun” despite the hardships they faced. Ultimately, abortion rights (or “reproductive justice”) became the unifying issue for the various, often disparate women’s organizations that had formed across the US by the 1970’s, leading the Supreme Court to legalize abortion in 1973. 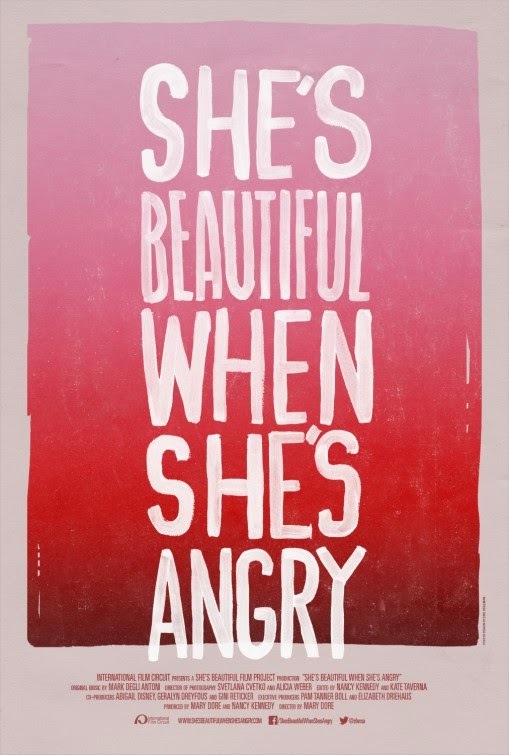 Dore focuses on a relatively brief but momentous period of time in She’s Beautiful When She’s Angry. The director includes a quick glimpse of some archival footage from the suffragist movement of a century earlier, and my partner and I would have liked the film to incorporate more of that historical background. Not unlike modern-day LGBT people, women then and now continue to build on the foundation laid by those who fought for equality long before us. Dore’s film serves as an important reminder of where we have all come from. I finally got a chance the other day to see Birdman: or (The Unexpected Virtue of Ignorance), even though it has been in local theatrical release since mid-October. This existential dramedy about a former superhero movie star yearning for fulfillment has begun to rack up awards this week, including Best Film of 2014 at New York’s Gotham Independent Film Awards and Best Actor honors for star Michael Keaton from both the New York Film Critics Circle and the National Board of Review. An Academy Award nomination for Keaton is a well-deserved virtual certainty and would be the actor’s first. 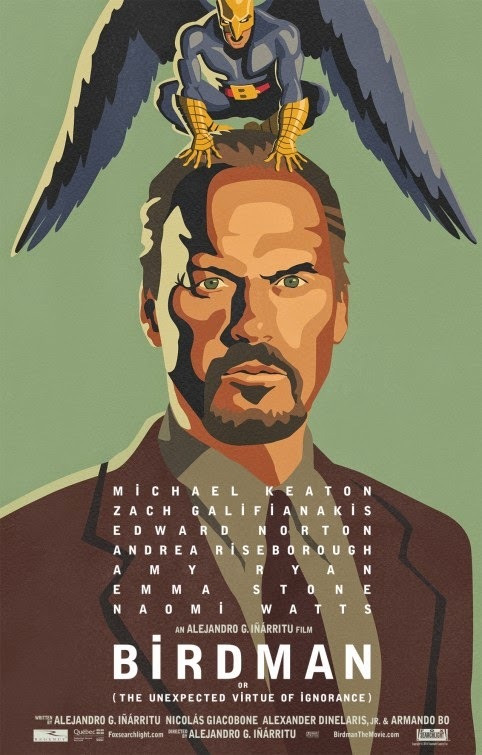 While I generally enjoyed Birdman and was very impressed by the technical prowess with which director Alejandro Gonzalez Inarritu (Amores Perros, Babel) and his team make the film appear to consist of one uninterrupted shot even though the story takes place over several days, its screenplay by Inarritu and three other writers left me rather cold in the end. I found it more insider-ish and mocking than emotionally engaging despite the characters’ excellent, generally rapid-fire dialogue. Actors and other artists as well as industry types may find more to identify with in the film, which could be why it has been so well-received at film festivals and industry screenings. It is also a valentine to Broadway and the legitimate theatre, which may explain why NYC-based critics groups have embraced it (an initially-vile theatre critic in the film is redeemed in the end, which could also help explain the critical kudos). In addition to Keaton, genuinely great performances are rendered by Edward Norton, Emma Stone, Naomi Watts and Amy Ryan. 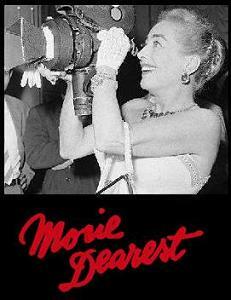 They help make the movie unavoidable, just don’t expect to be blown away by it unless you are an actor and/or New Yorker. There aren't many stage musicals that can get away with an entr'acte medley of its otherwise English-language songs translated into Latin. 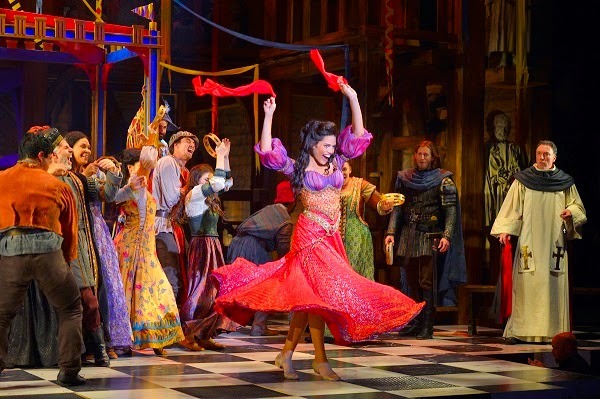 No, I'm not alluding to a theatrical adaptation of Mel Gibson's The Passion of the Christ (thankfully) but rather to the new US version of Disney's The Hunchback of Notre Dame, playing now through December 14th at La Jolla Playhouse. Somewhat surprisingly, this audacious entr'acte and other, more medieval elements of this adult-leaning treatment of Victor Hugo's 1831 novel and the 1996 animated film end up working splendidly. Peter Parnell's book for the musical (see Reverend's pre-production interview with Parnell here) draws more from the original source than the Disney telling did, including restoring chief villain Claude Frollo to an archdeacon position in the Church rather than a secular judge and making the title character, a.k.a. Quasimodo, deaf from years of ringing the cathedral's massive bells with no ear protection. 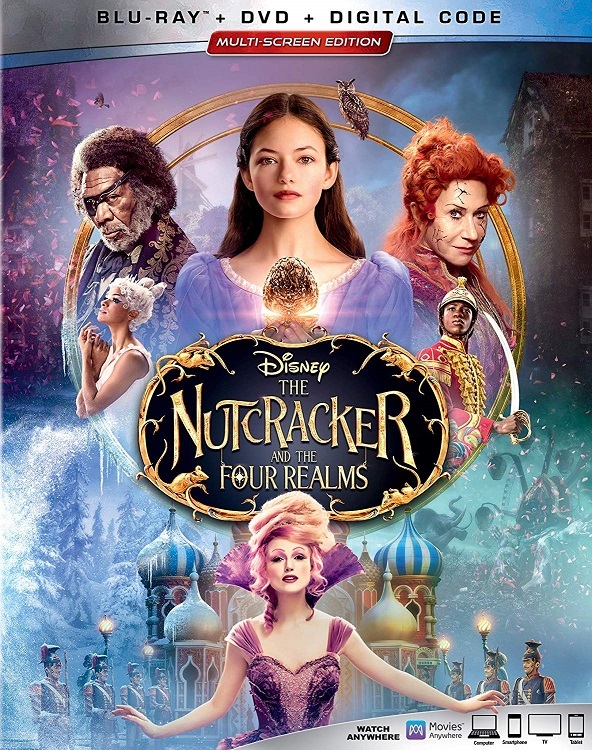 However, most of the film's exceptional, Oscar-nominated score by Alan Menken and Stephen Schwartz made the translation (only the gargoyles' comical "A Guy Like You" was axed) and has been augmented with a handful of new songs. Their new tunes don't make much of an impression, although "Top of the World," sung by Quasimodo (beautifully played with a minimum of makeup by out actor Michael Arden, a veteran of LA's acclaimed Deaf West Theatre) and seductive gypsy Esmeralda (the beautiful Ciara Renee), benefits from its staging atop Notre Dame and Schwartz's lyrics for "In a Place of Miracles," which was written for the movie but cut during development, feature resonant, timely sentiments of love and peace. As Frollo, frequent Broadway heavy Patrick Page commands attention as the somewhat more sympathetically-drawn antagonist. He remains as anti-gypsy as before but has been given a back story about how his beloved younger brother fell in with a gypsy woman and subsequently died of disease, for which Frollo now blames all gypsies. Quasimodo is also given a more personal connection to Frollo, in light of which the stage Frollo treats his ward a bit more kindly than the movie version did. I'm not sure how faithful to Victor Hugo any of these storylines are, if they are at all, but they do help make Frollo less black and white moralistically-speaking than previously depicted. 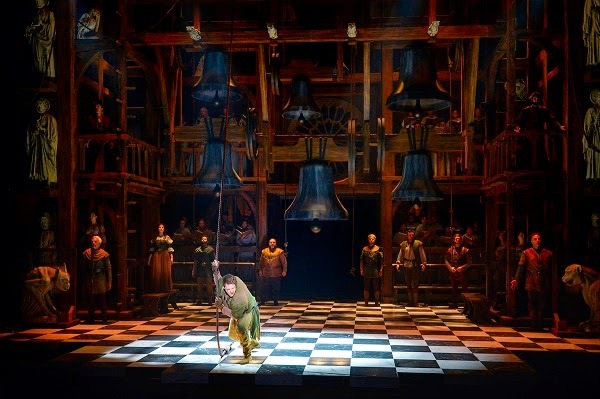 La Jolla Playhouse's production of The Hunchback of Notre Dame benefits most dramatically from Alexander Dodge's breathtaking, stage-filling yet versatile set and director Scott Schwartz's (Stephen's son) impressive staging of the action therein with a reliance on old-fashioned theatrical sleight of hand instead of high-tech visual effects. While the space is somewhat limited for Chase Brock's simple yet energetic choreography, it nonetheless allows for a proscenium-filling downpour of hot lead, a genuinely "how'd they do that?" moment involving the beheaded Saint Aphrodisius (personified by Neal Mayer) stepping down from a stained glass window, and Quasimodo's classic rescue of Esmeralda from the stake by swinging through the square in front of Notre Dame. 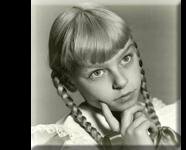 These are just a few examples of the show's virtuoso technical achievements. In the end, though, the power of Hugo's classic story of love, hypocrisy and redemption shines through any theatrical tricks or Disney-fied treatment employed here. Hunchback is the most adult and un-Disney of any stage versions of the studio's films to date, which makes me very curious to see how well it will go over on Broadway if it makes it there. Given the instant standing ovation and rapturous reception it received at the mid-run performance I attended, I have a hunch it may do very well indeed. 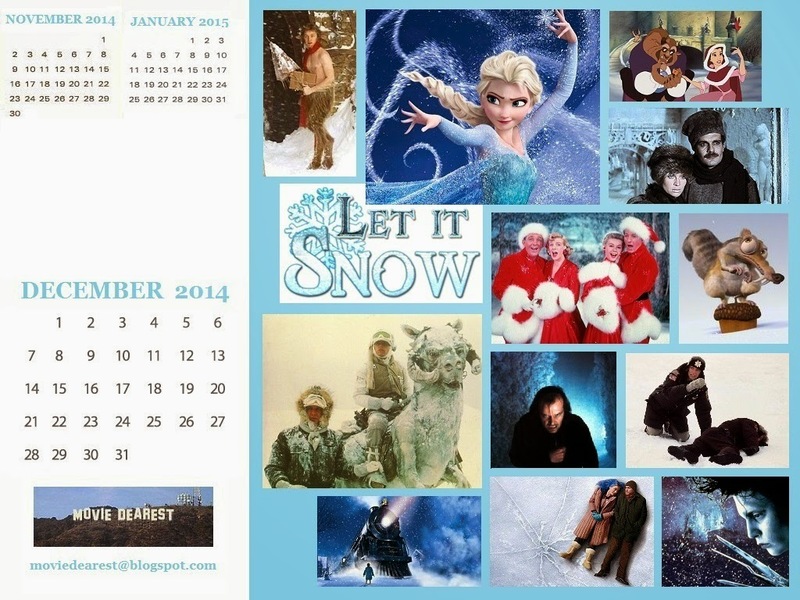 Visit a winter wonderland every day in December with Let It Snow, this month's Movie Dearest Calendar Wallpaper!